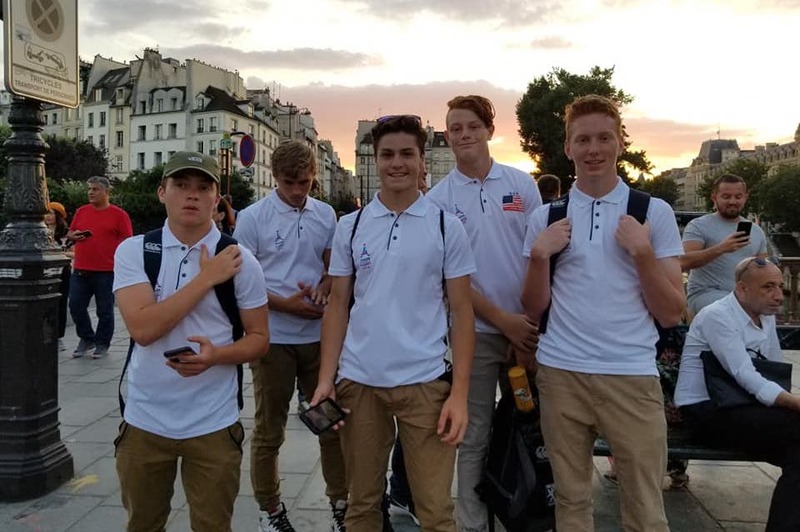 The Utah Lions U16 team took 3rd at the Paris World Games in June. The Lions ended pool play 3-1 with defeats over local team CD41 (21-5), AAS Sarcelles (57-0), and Sri Lanka (51-0), while losing 29-0 to French Academy Paris SUD. That put Utah second in the pool and set the Lions up for a game against Singapore. That was a tough game, as Singapore led 19-12 going into the final moments. Utah had a chance to tie it with a ry under the posts but lost the ball with no time left. That was a heartbreaker for the team, but the Lions rebounded to beat Paris Univeriste Club (who had lost in the semis to Paris SUD 19-17 in controversial fashion). The Lions, eager to return home with a victory at the end of the weekend, slammed PUC 45-12. "We had a rock solid team who were working very well together against some very tough teams", said coach Michael Cressler. "The kids were able to keep to the fundamentals and deny the opposing team possession, whcih kept the scores in our favor". While the scores may not reflect it, the French sides were quite good as shown by PUC almost beating the eventual champions and losing by only two points, while the Lions then handily beat them 45-12 despite having been rocked by Paris SUD 29-0. The Lions also had girls players on the Celtic Barbarians side that went 3-0 in pool play but fell to Hong Kong in the quarterfinals finals. The Paris World Games is renowned for its football(soccer) tournaments and only in the last four years has branched out into rugby 7s. This year there were teams competing in rugby from France, USA, Sri Lanka, Australia, Tahiti, Hong Kong, UAE, Cameroon, Congo, Algeria, Colombia, Malaysia, South Africa, and Canada. Watch the Utah Lions and many more teams at the NAI 7s LIVE on FloRugby August 3-4.